Top names in French cooking, as well as foreign followers and thousands of well-wishers, are to attend a memorial service Friday for Joel Robuchon, the world's most-starred Michelin chef who died earlier this month. The public homage to one of the most famed figures of French gastronomy will take place at Saint-Pierre Cathedral in the western city of Poitiers where a giant poster of the chef, who was 73, has been put on display. France's cooking royalty, including Alain Ducasse, Michel Guerard and Andre Dutournier, are expected to attend in their chef's whites, along with cooks from across the world, including a delegation from Japan. Robuchon's death on August 6 from pancreatic cancer marked the passing of a second French superstar this year, following the demise of the "pope" Paul Bocuse in January whose funeral was also attended by the French culinary elite. "It will be an opportunity for the profession to pay homage," Michelin-starred chef Alex Manes, head of Robuchon's Parisian restaurant L'Atelier, told AFP, adding that the cathedral setting was appropriate for the "very religious" chef. Robuchon's funeral took place last week in a private setting with his family. 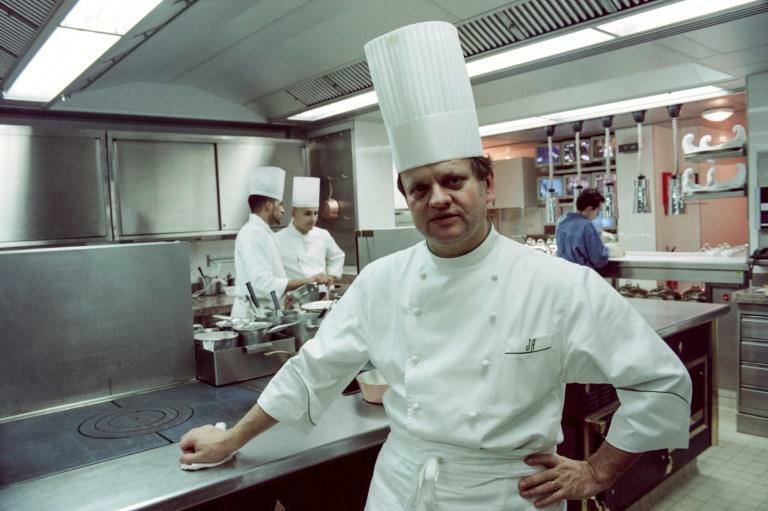 Robuchon, who was hailed as one of four "chefs of the century" by the Gault & Millau industry bible in 1990, founded a string of restaurants that revolutionised fine dining across three continents, at one point ratcheting up a record 32 Michelin stars. He still had 24 stars at the time of his death, with foodies lining up from Tokyo to Paris to Macau for seats in his L'Atelier restaurants, where they can watch chefs in action, perched on high stools at a U-shaped bar.